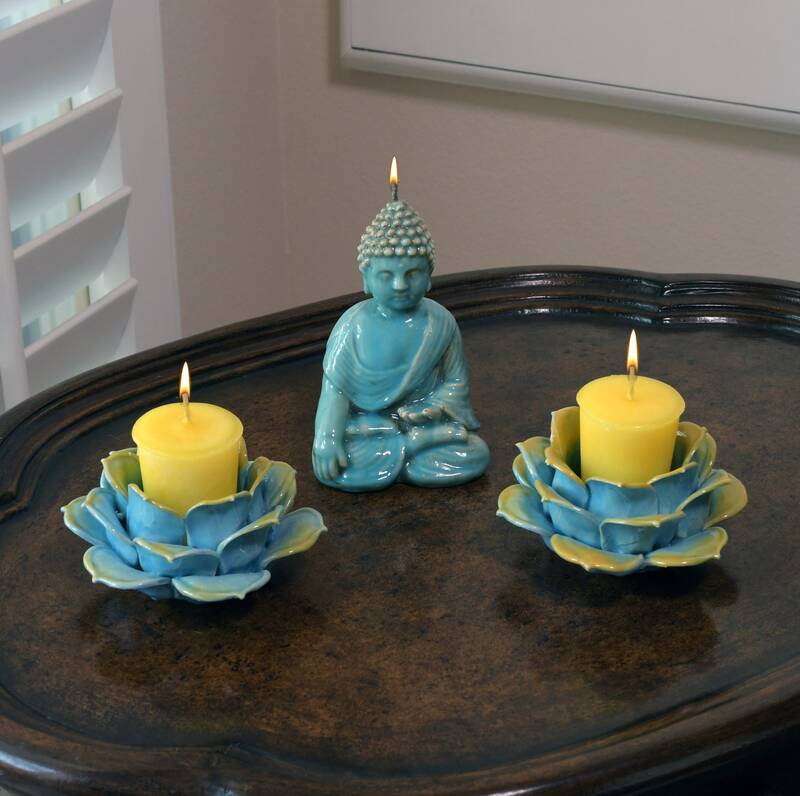 Witness Buddha Candle and Blue & Gold Porcelain Lotus Flower Candle Holder Meditation Set. 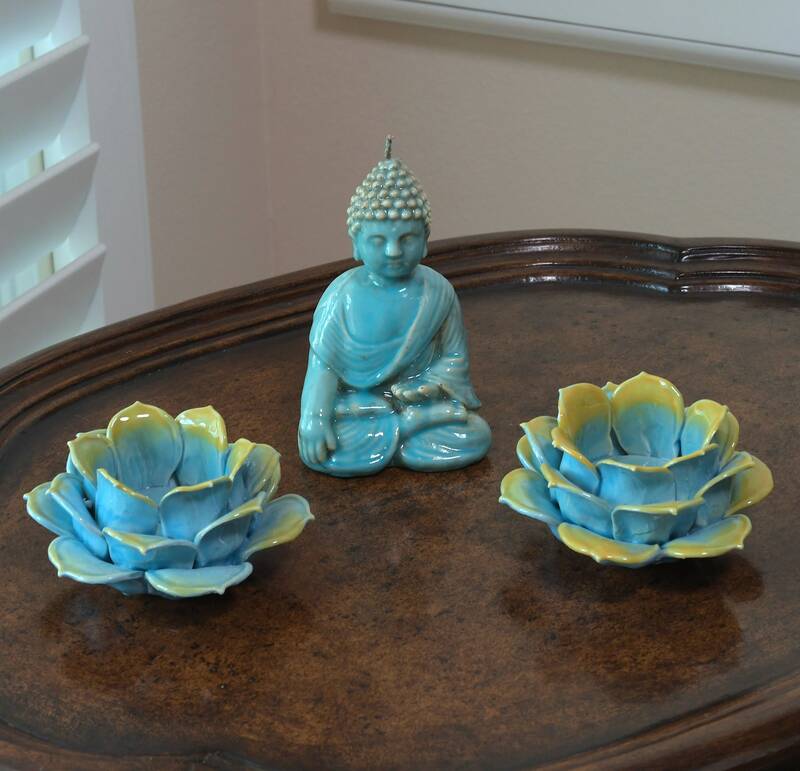 This is a special priced combo set of the beautiful Buddha of ceramic-like finish in turquoise and incredible detail; paired with two gorgeous blue and gold porcelain lotus candle holder. Use your tea light candles in this lovely lotus flower. 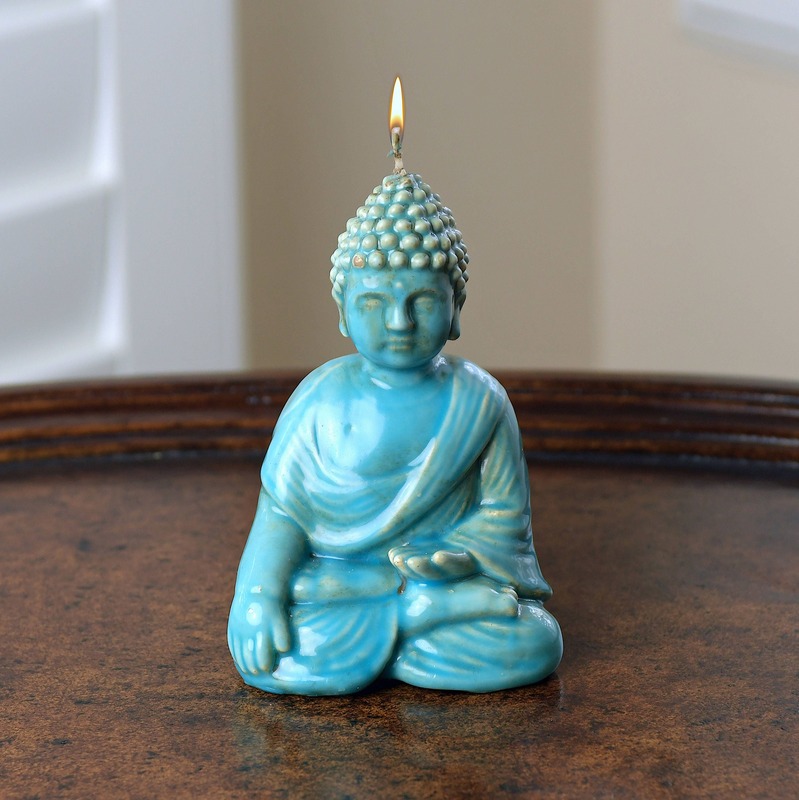 Buddha candle measures approx. 4.5 inches tall.